Alice in a sea of tears. 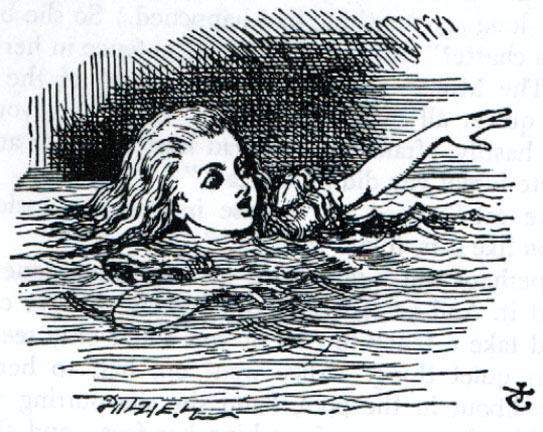 (illustration to the second chapter of Alice in Wonderland) by John Tenniel. Wood-engraving by Thomas Dalziel.